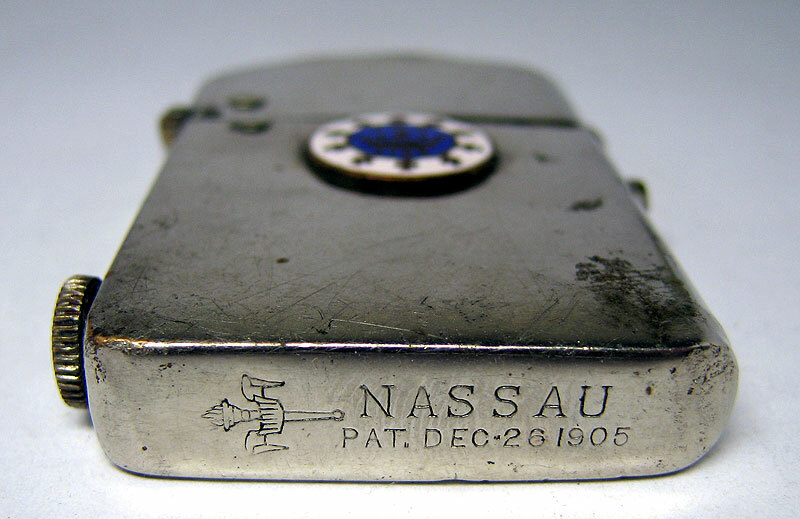 Lighters Nassau made in New York on Nassau street, since 1910 (although patent Set 1905). 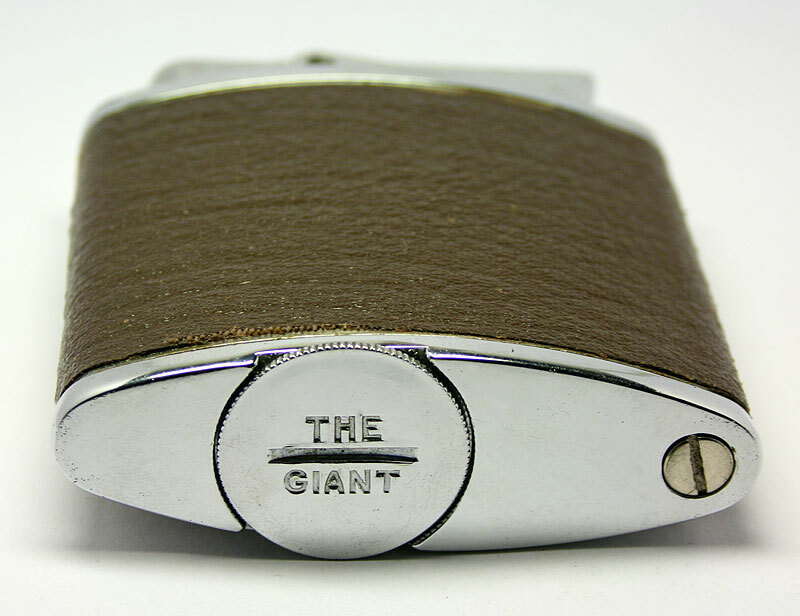 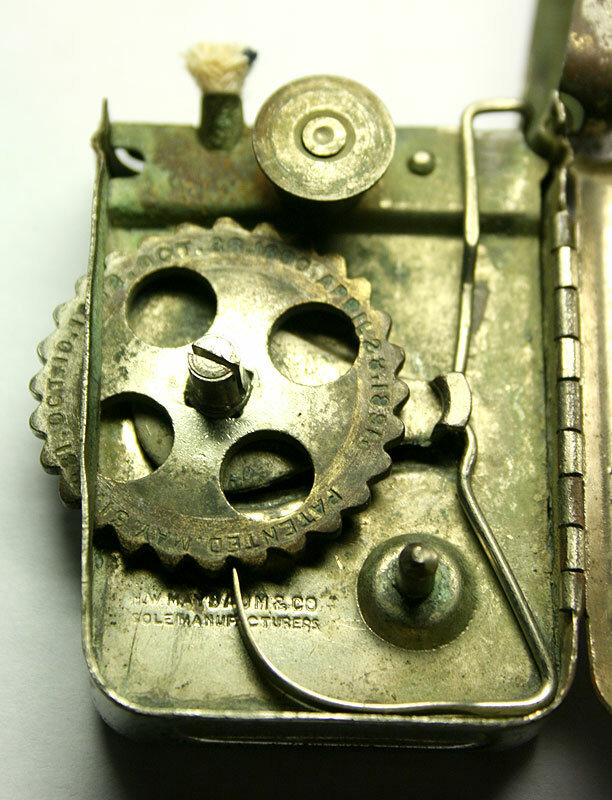 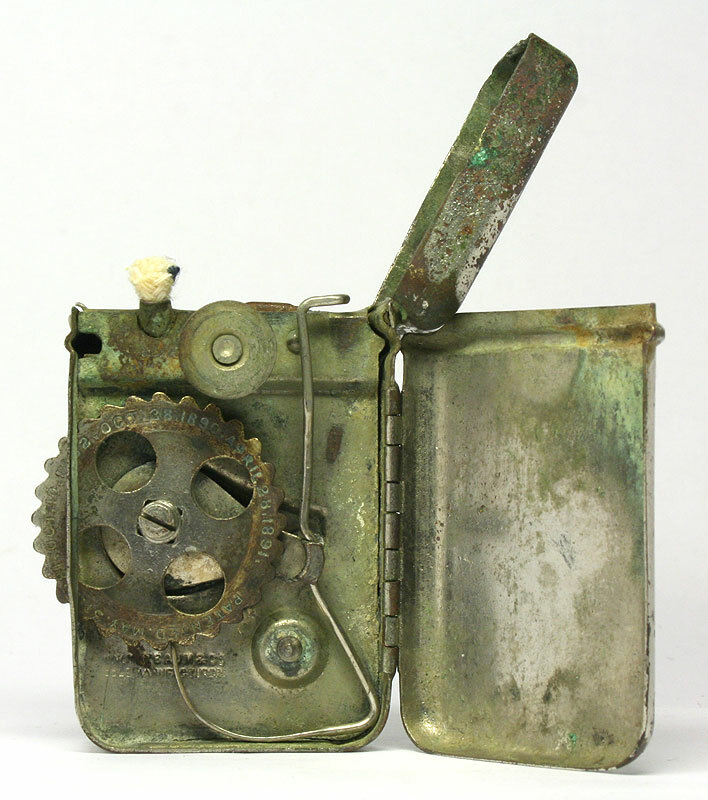 It was one of the first automatic pocket lighters that time, the mechanism of action of this principle was invented in Austria in 1909. 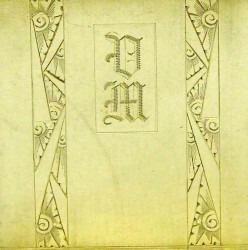 There were many choices of finishes, from simple chrome plating to gold and silver shells. 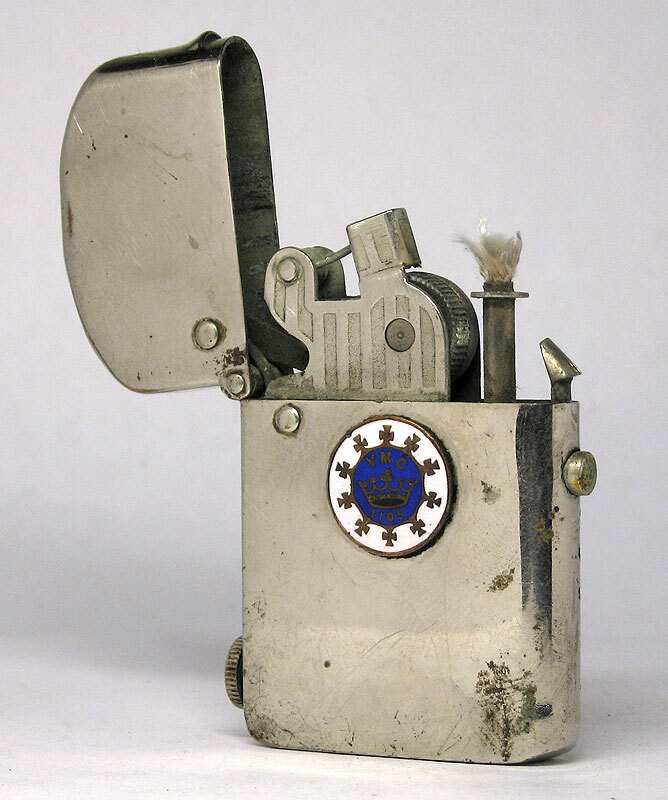 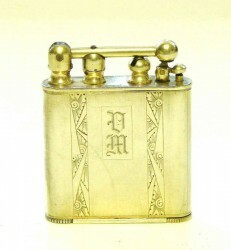 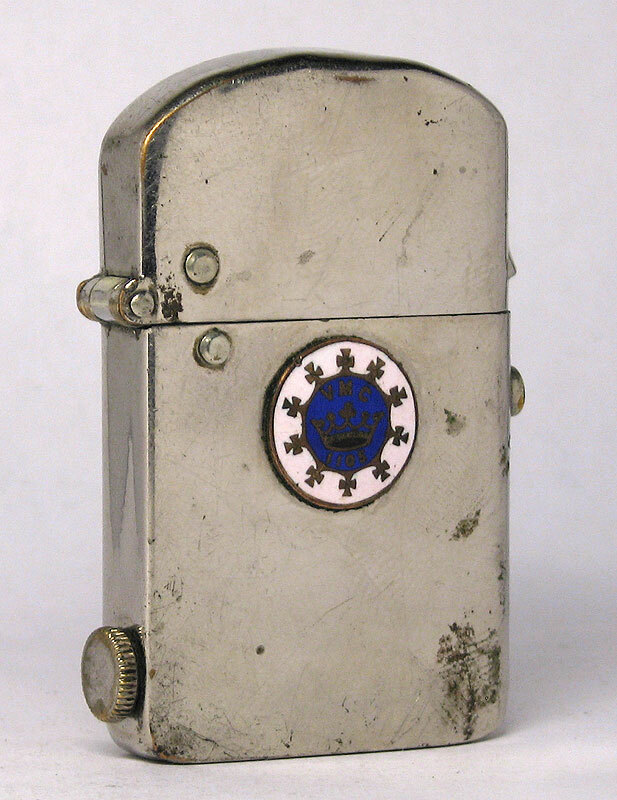 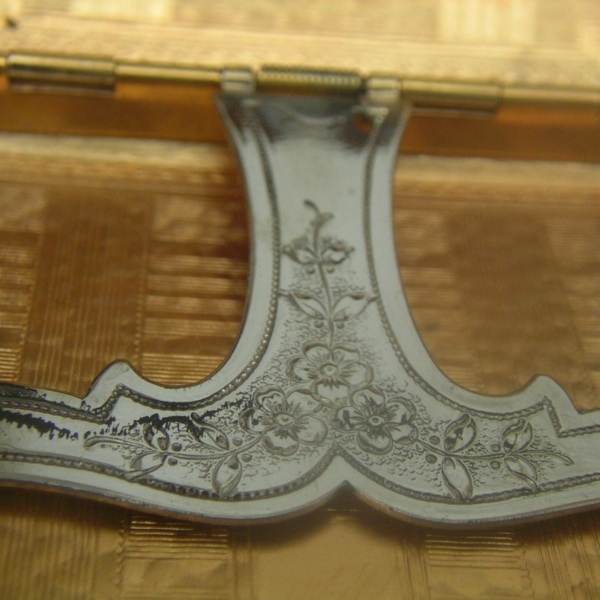 This lighter is attached emblem of Royal Arcanum - one of the oldest insurance companies, mutual benefit, founded in 1877 in Boston; it exists today. 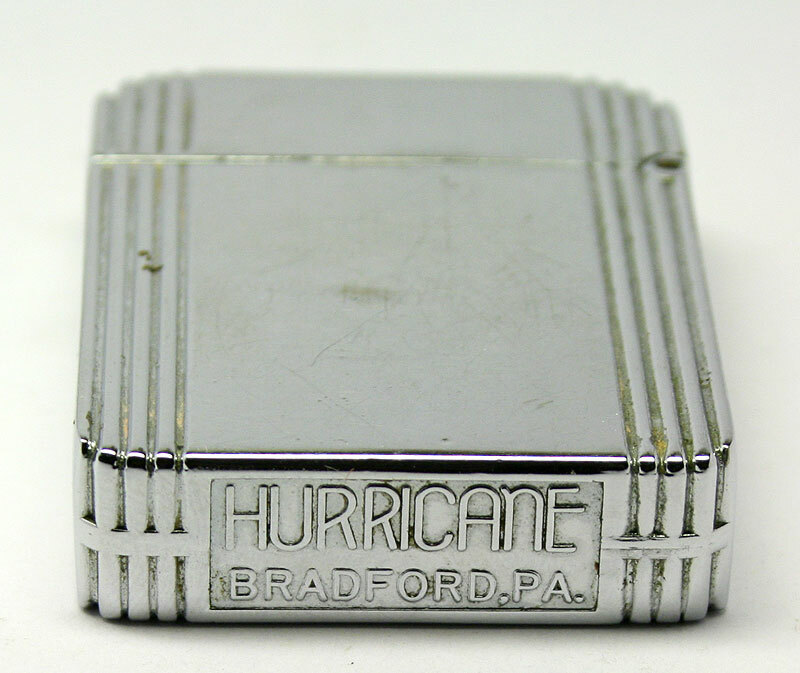 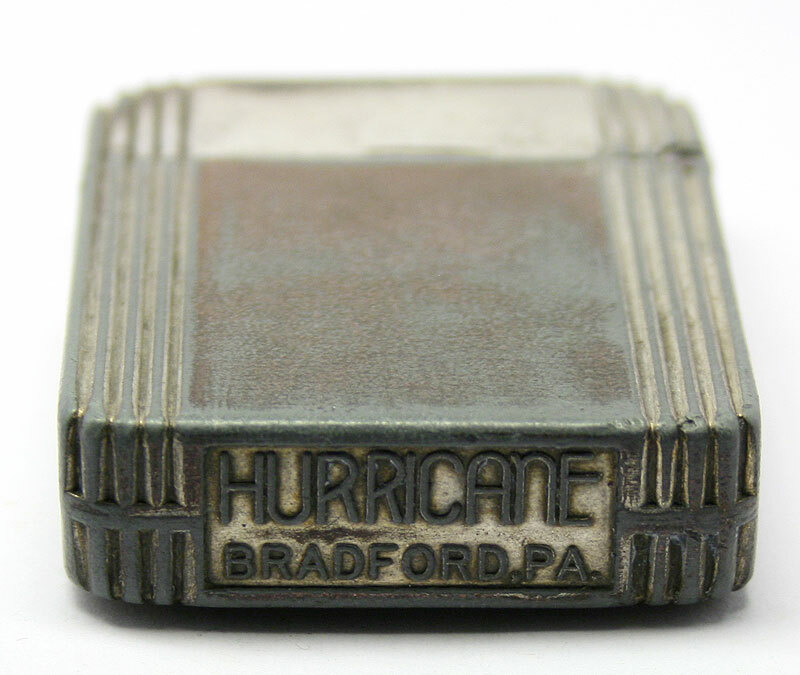 Lighters Hurricane produced in Bradford in 1930, at the same time a Zippo, and production ended in the beginning of 1940, unable to withstand competition from the Zippo Manufacturing Company. 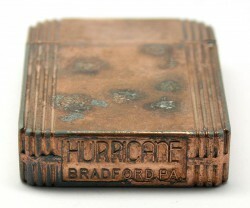 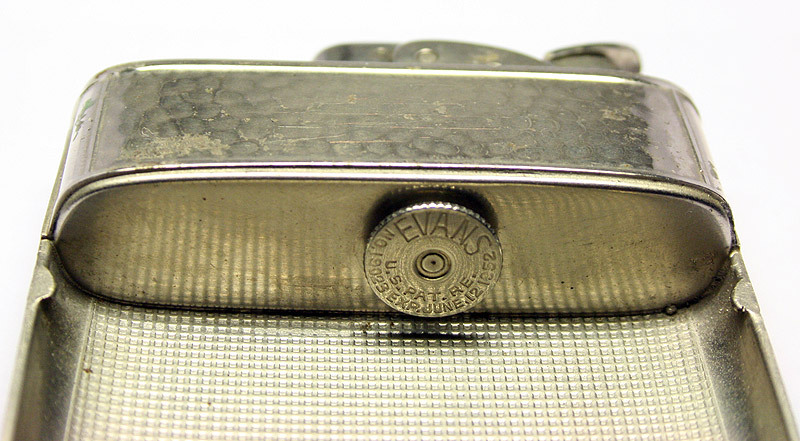 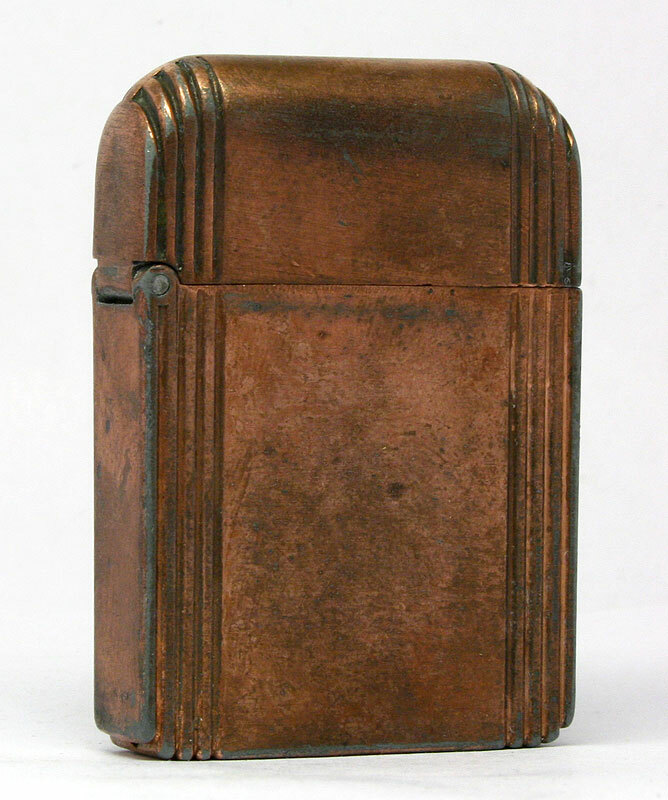 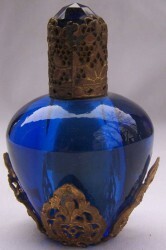 Most often found in copper Hurricane cases, much less - with chrome housing. 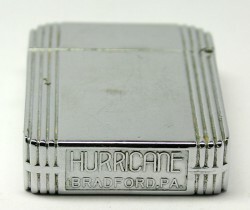 Presented here is an instance of chrome, and even advertising label that is doubly rare. 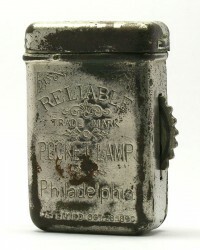 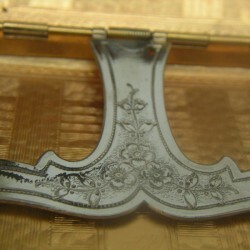 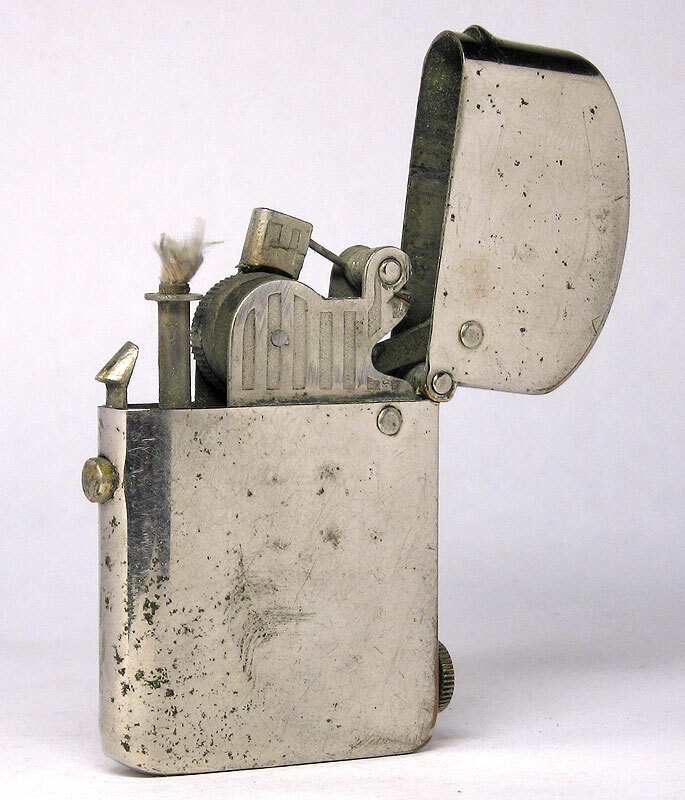 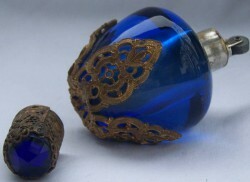 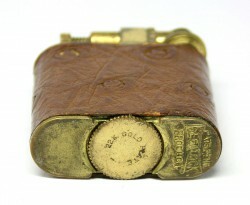 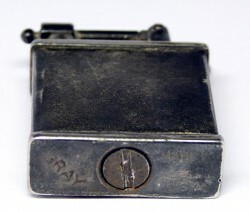 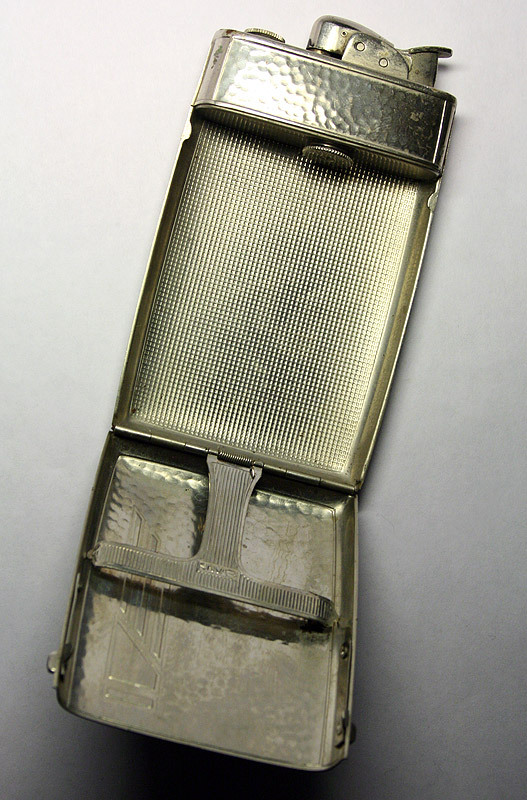 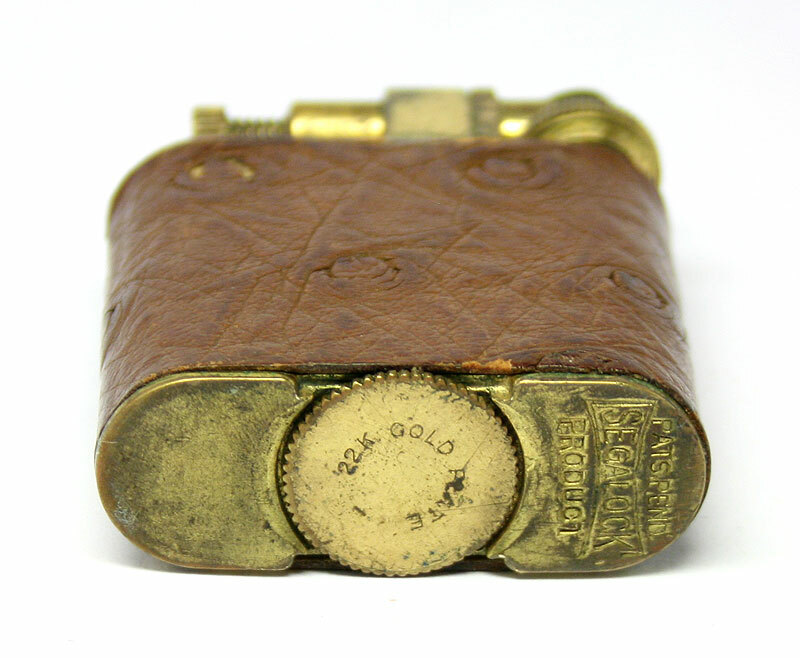 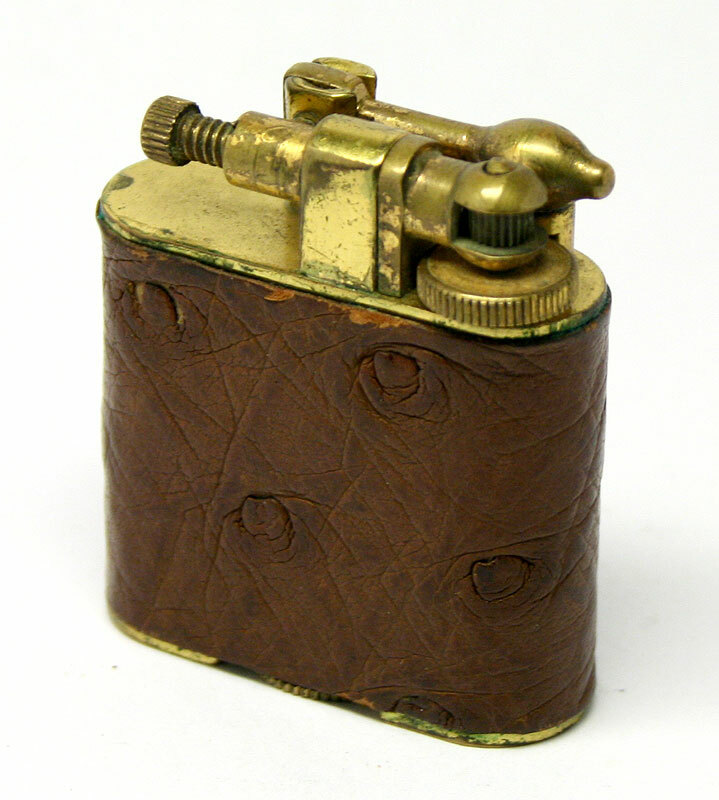 This is a unique instance - one of the world's first pocket lighters, patented in 1890, even before the invention of the flint. Iskra made it a special tape to fulminate Pistone (rattlesnake acid salts), and with its help was ignited by a wick soaked with gasoline. 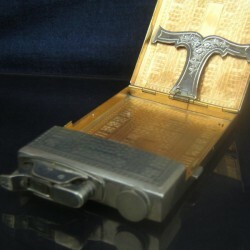 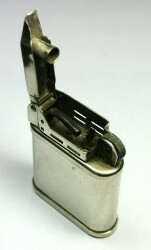 Pipe Lighter with gasoline design 'jet flame'. 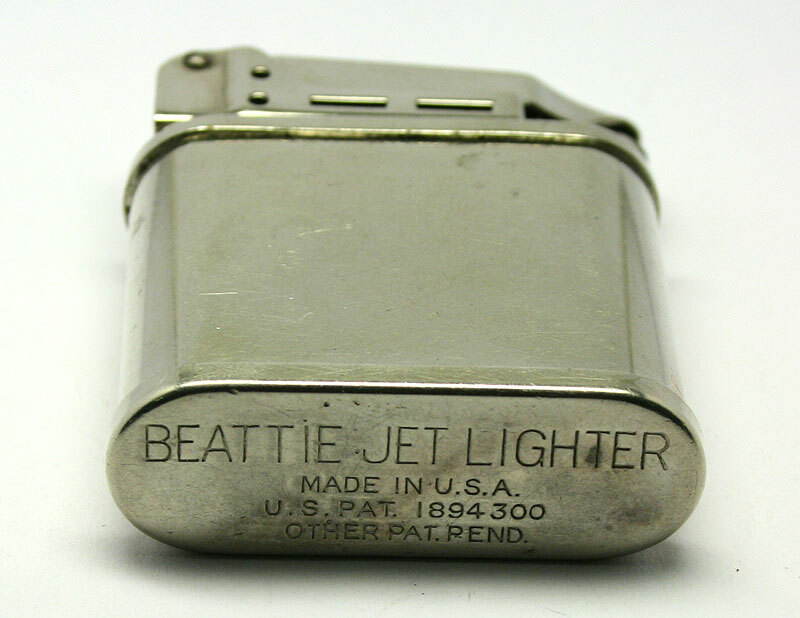 This design was first patented in 1929 and enhanced in 1944 by the American company Beattie Jet Products. 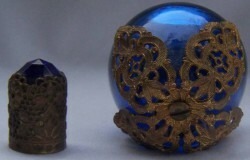 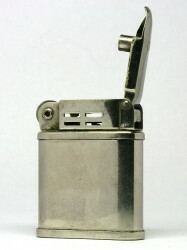 Lighter, apart from the usual cotton wick it has a thin hollow copper tube which passes through the insert and a cotton filler. 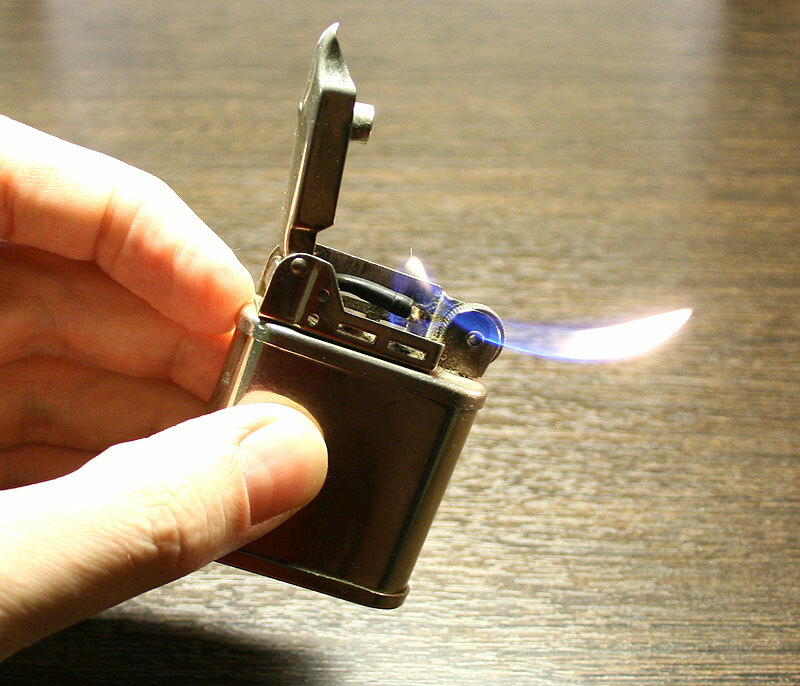 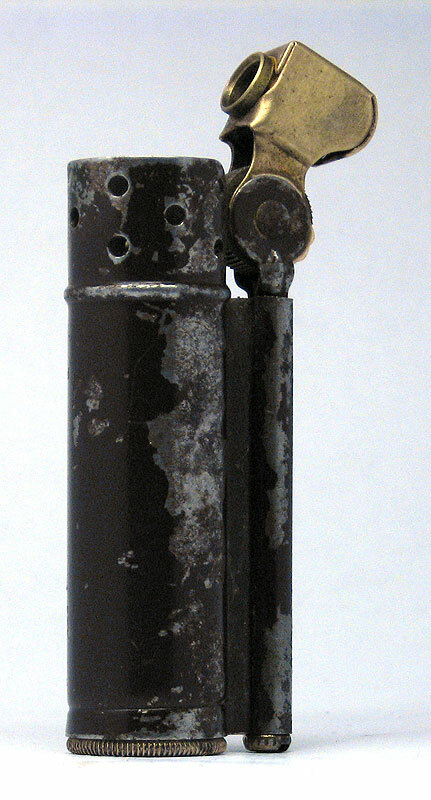 When a light tilting body lighted tube is heated by the flame of a lighter conventional wick, gasoline fumes and heat inside the insert, expand and rush outside, breaking under the pressure of a thin tube opening. 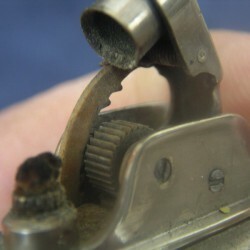 On the way out they light up, forming a rather long 'reactive' side flame, through which user-friendly lighting his pipe. 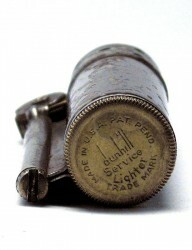 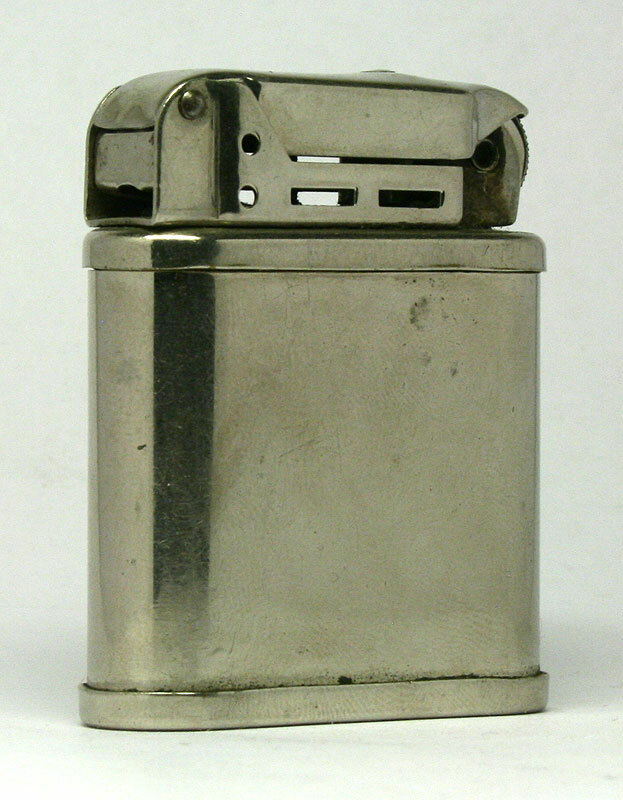 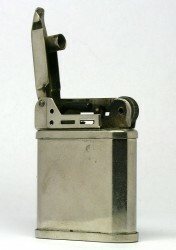 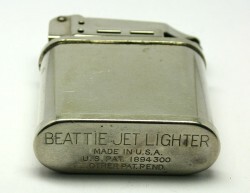 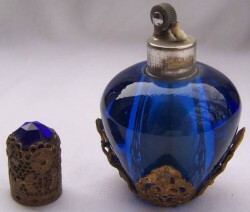 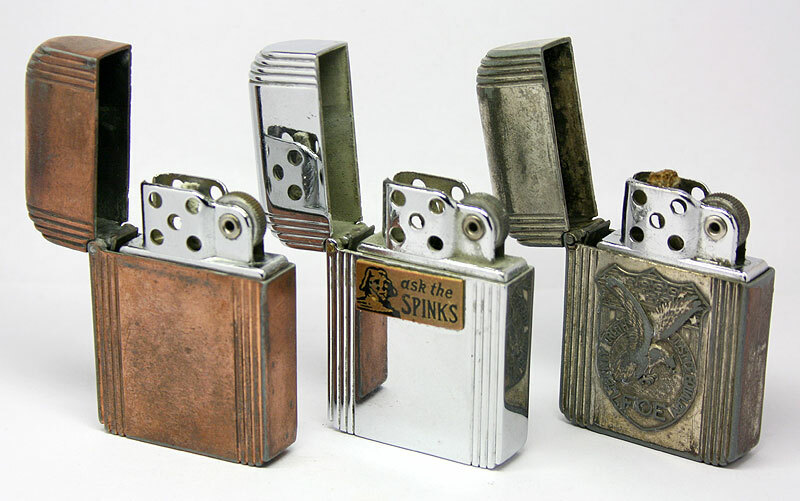 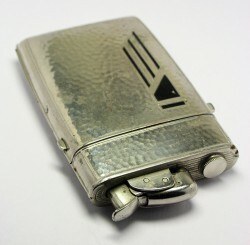 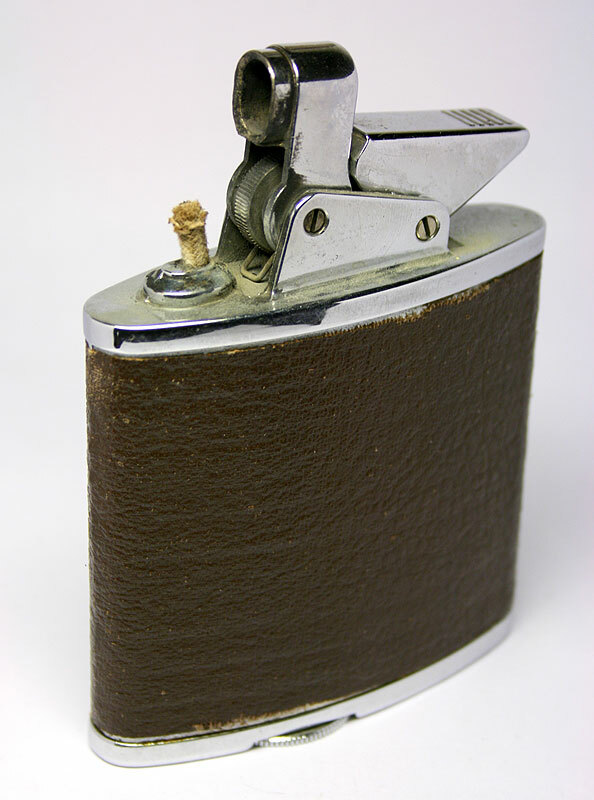 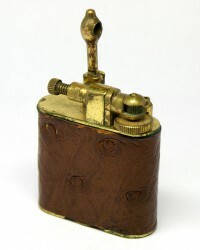 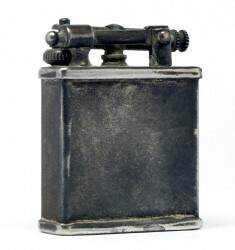 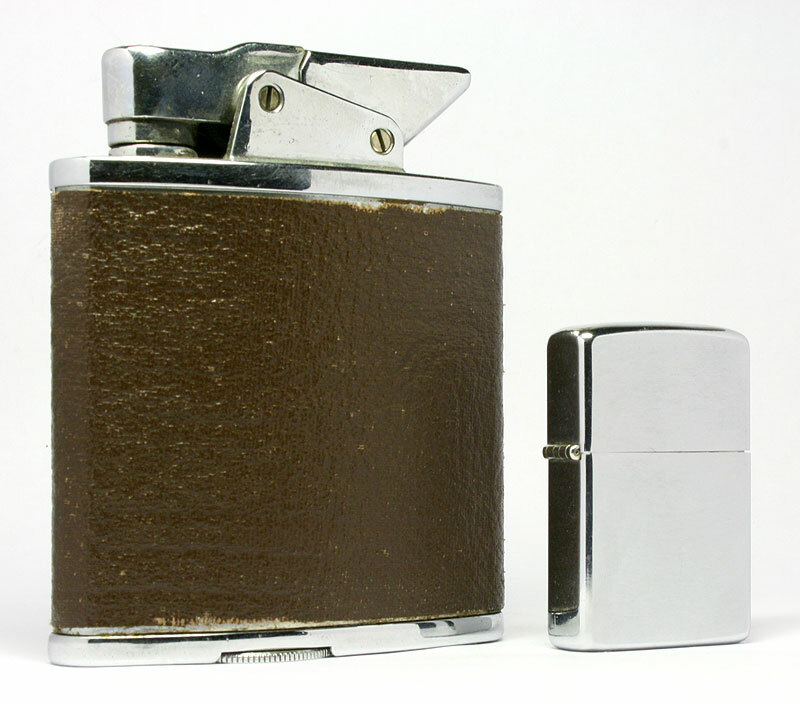 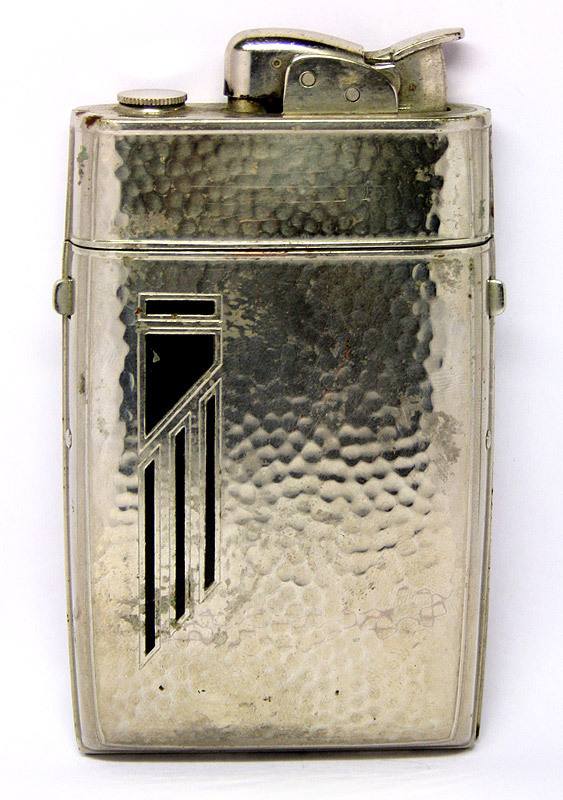 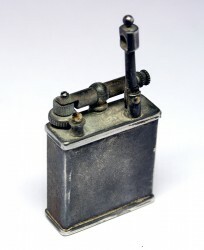 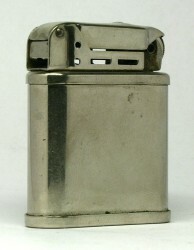 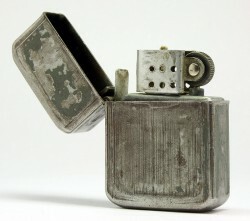 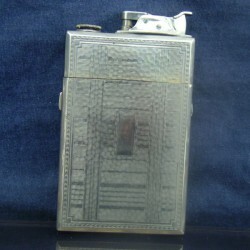 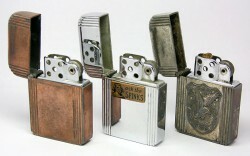 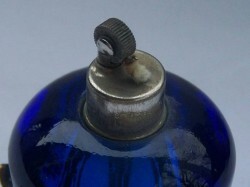 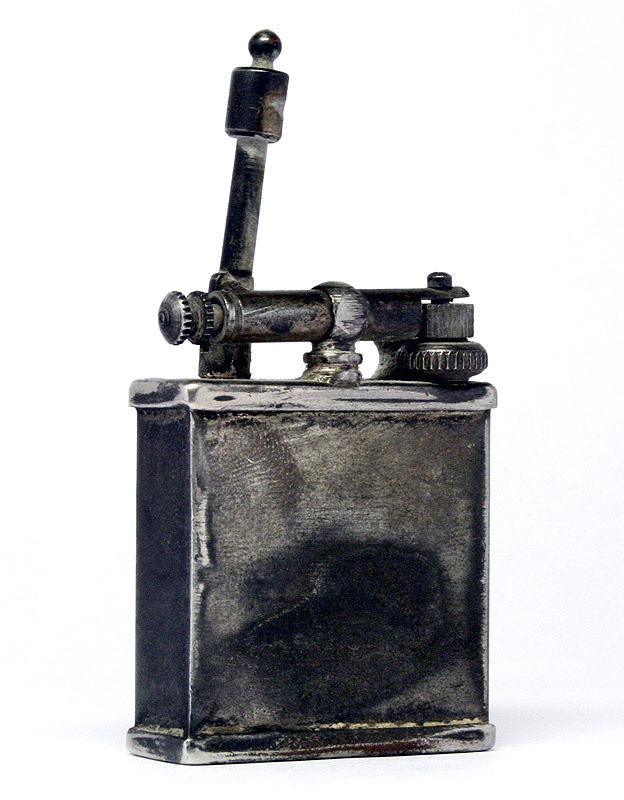 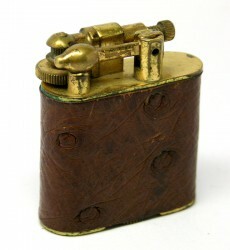 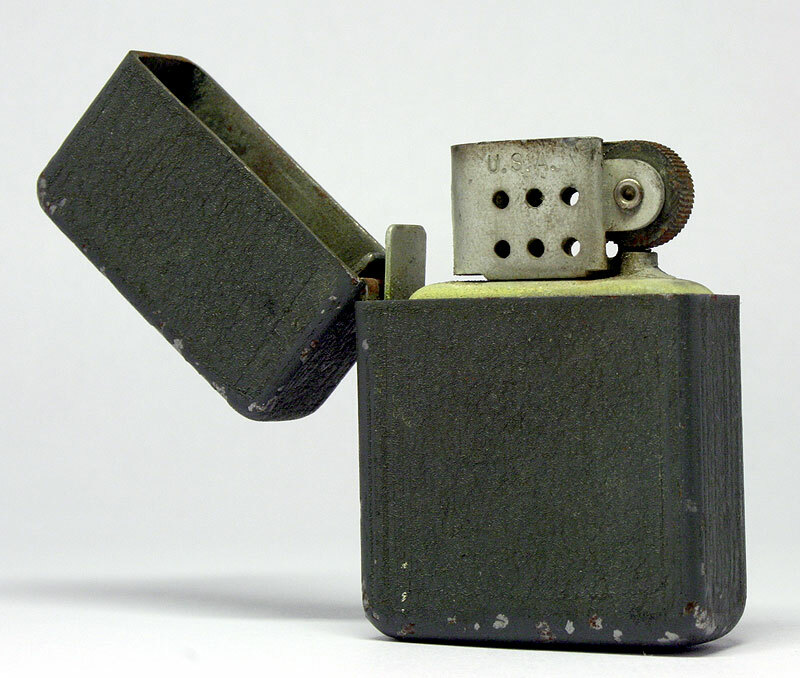 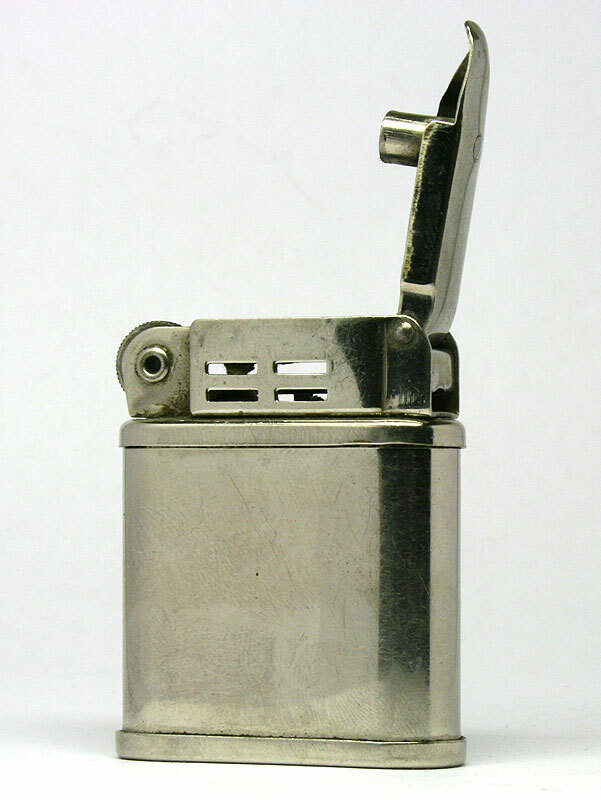 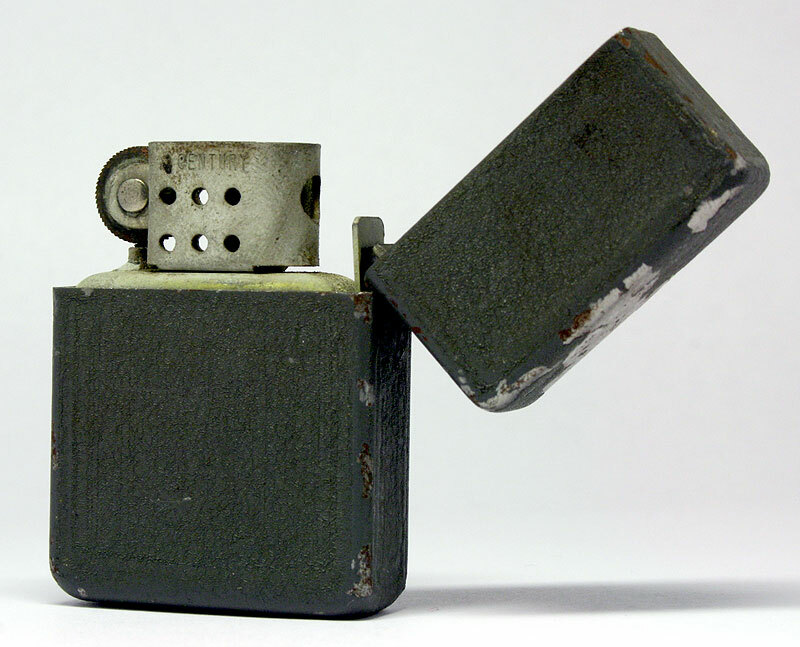 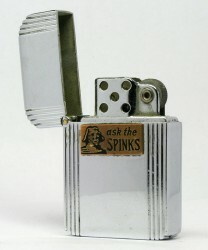 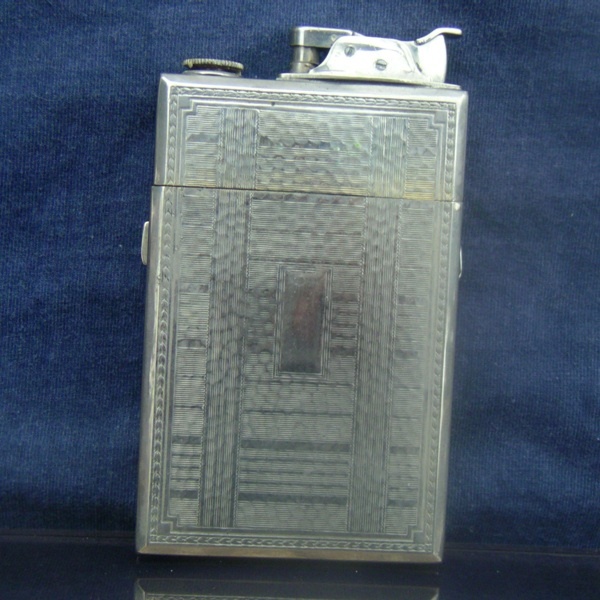 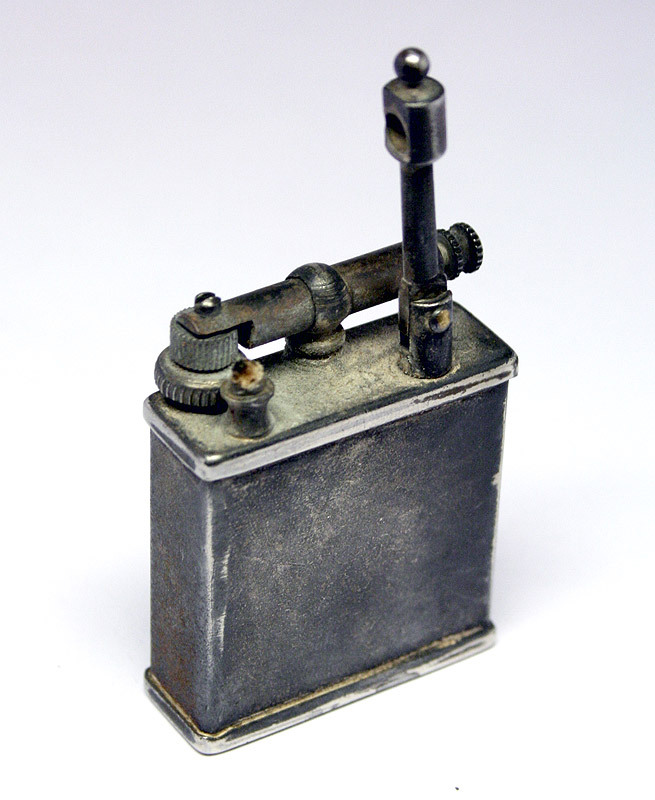 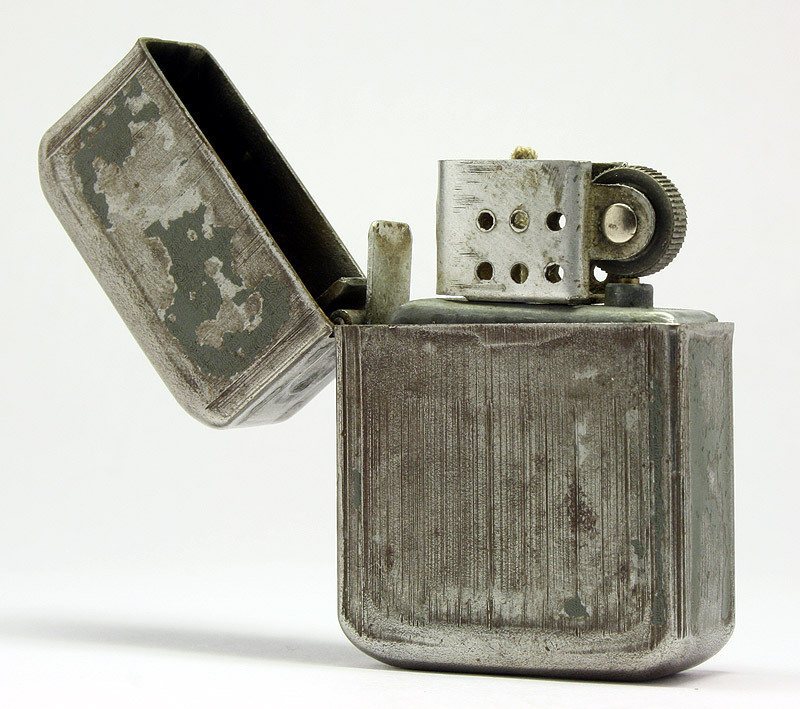 Beattie Jet - the most common and well-known model of 'reactive' petrol lighter mid-20th century. 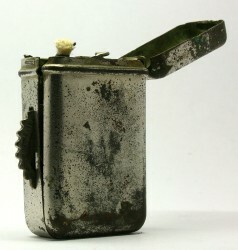 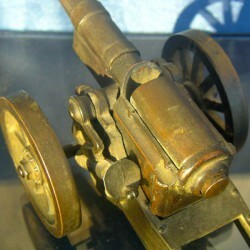 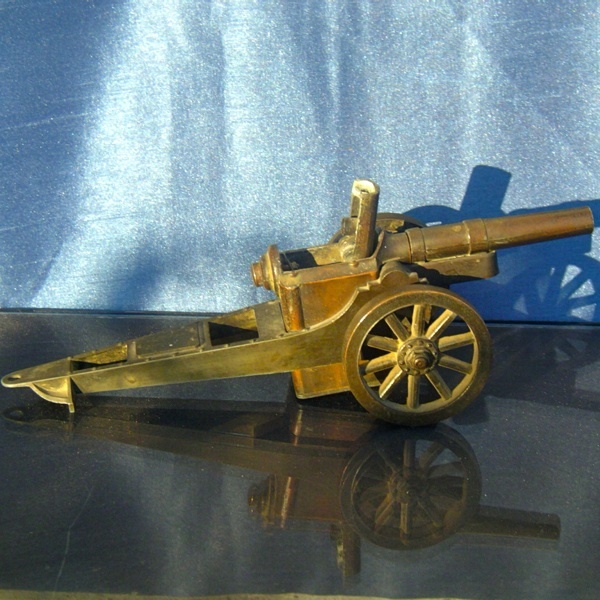 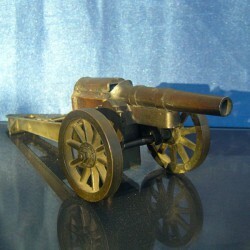 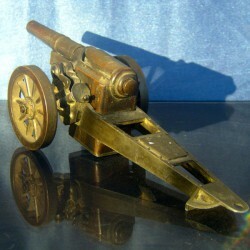 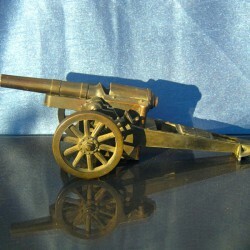 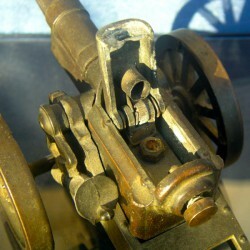 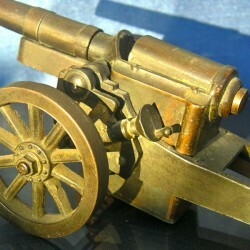 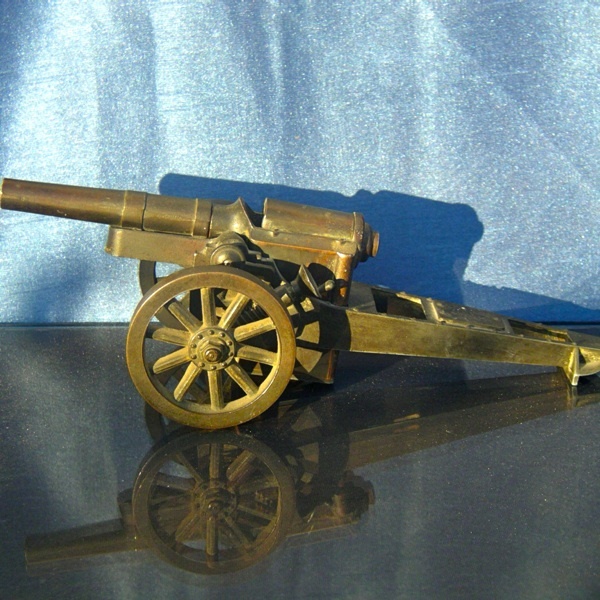 Lighter Century - typical fliptop of World War II, was produced for the US Army. 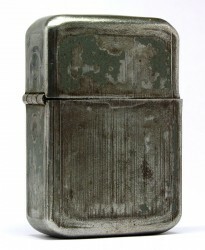 It is made of steel and coated with typical coating crackle green or brown-gray. 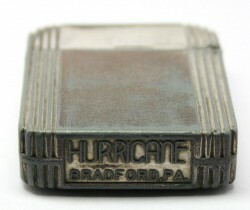 Some specimens have inscriptions CENTURY and USA, in windshield, and some do not have any inscriptions. 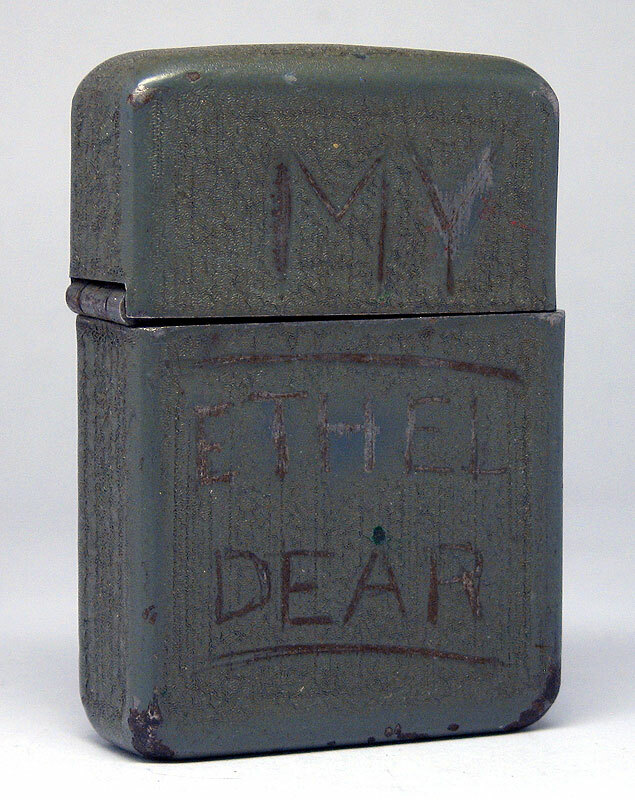 The last instance is particularly interesting and keeps the spirit of its former owner, an American soldier or officer who scratched on the body of the name of his beloved: «MY ETHEL DEAR». 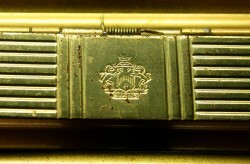 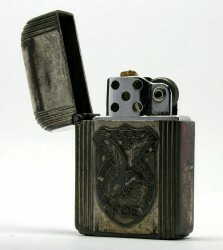 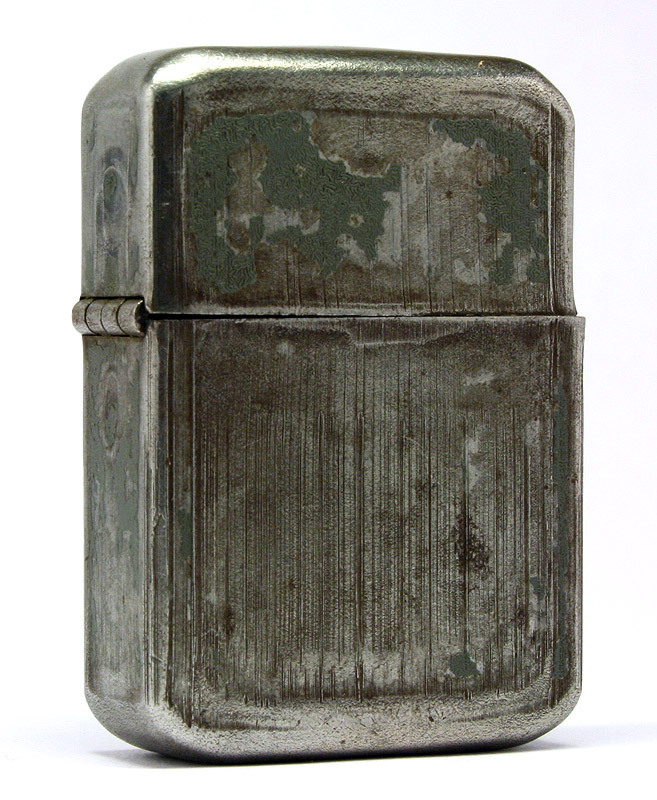 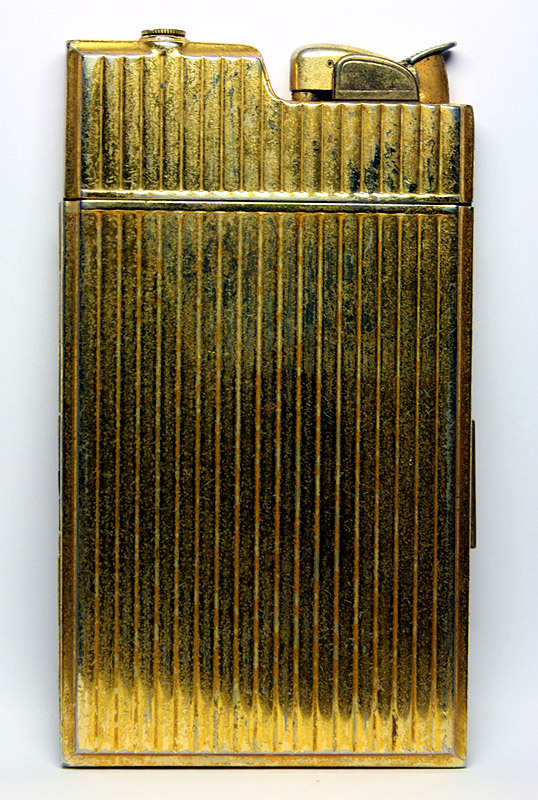 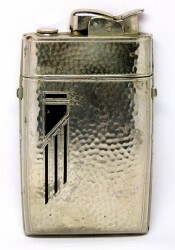 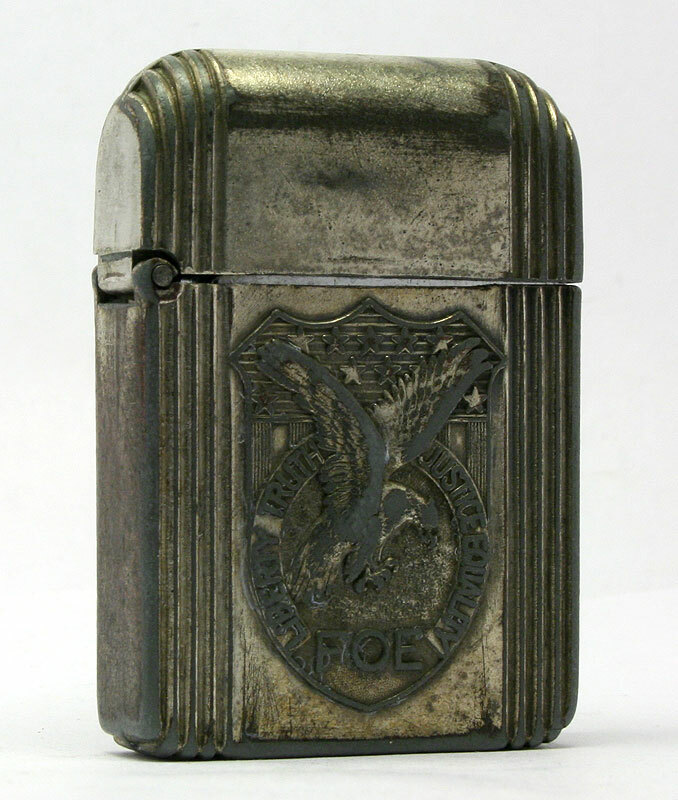 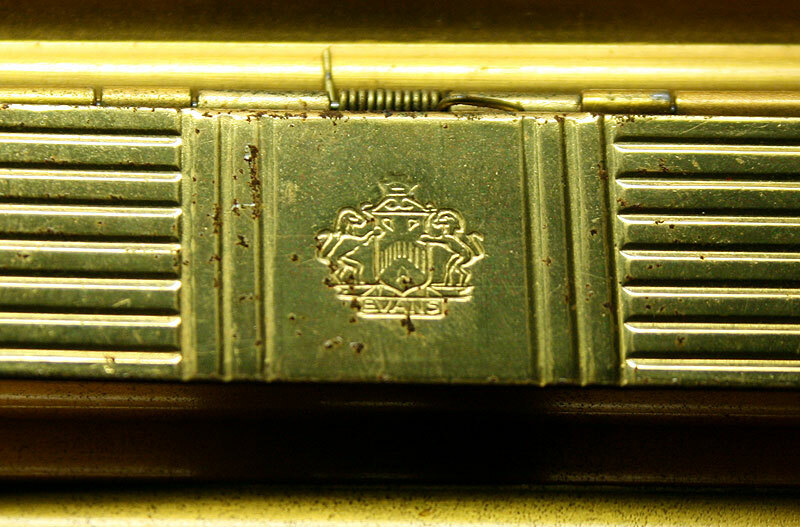 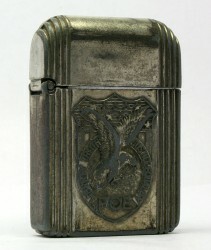 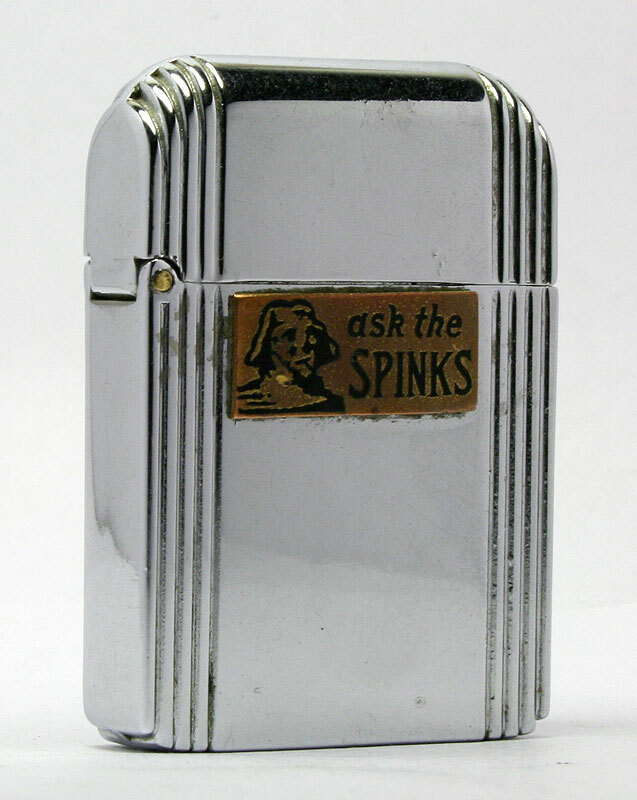 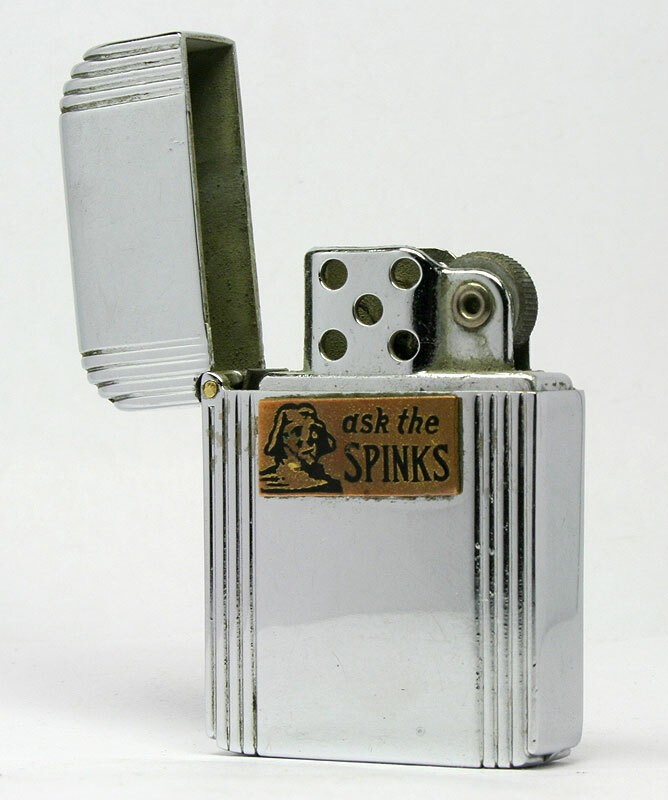 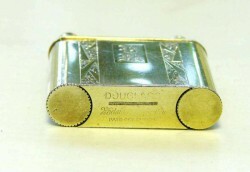 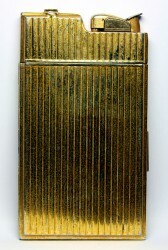 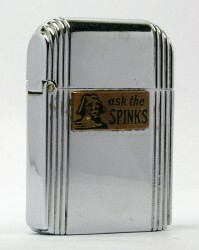 This lighter was produced in the United States under the brand Dunhill during World War II and was designed specifically for the US Army. 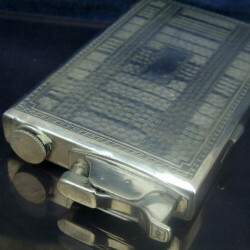 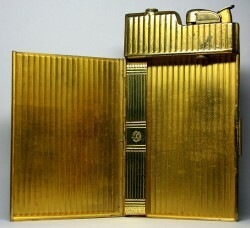 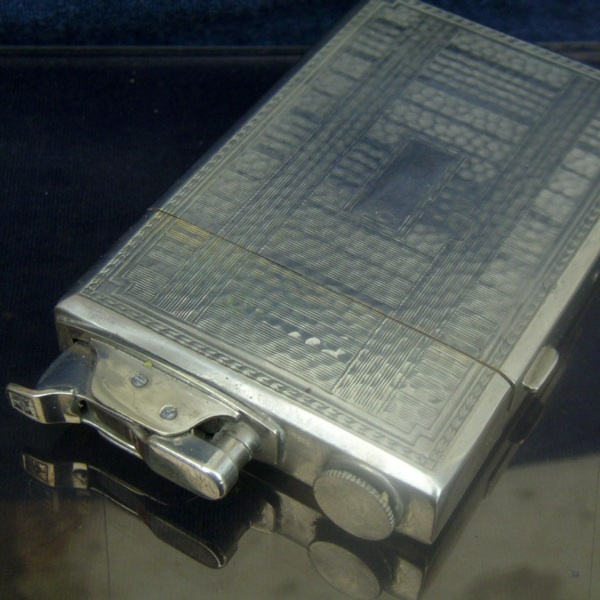 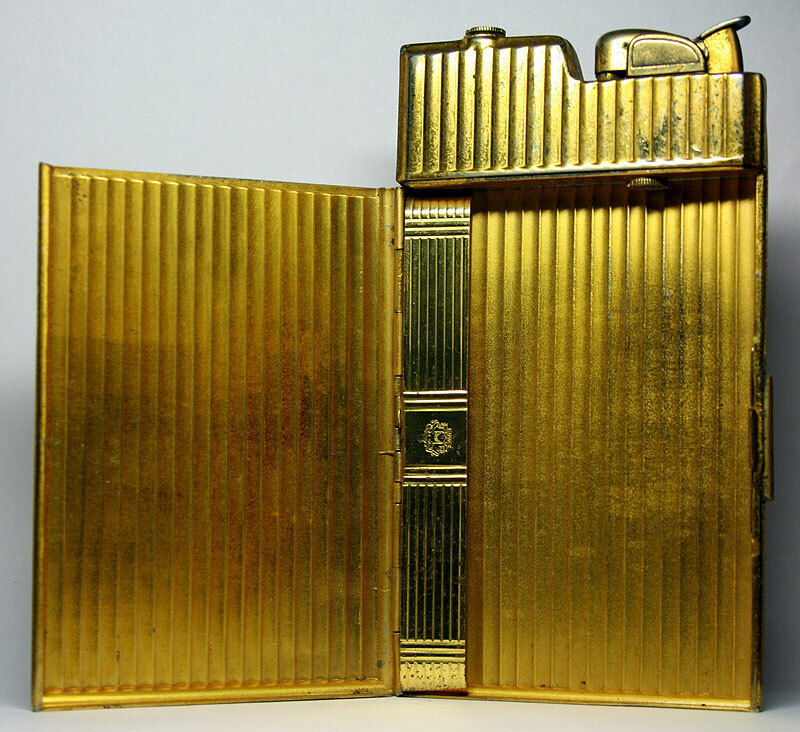 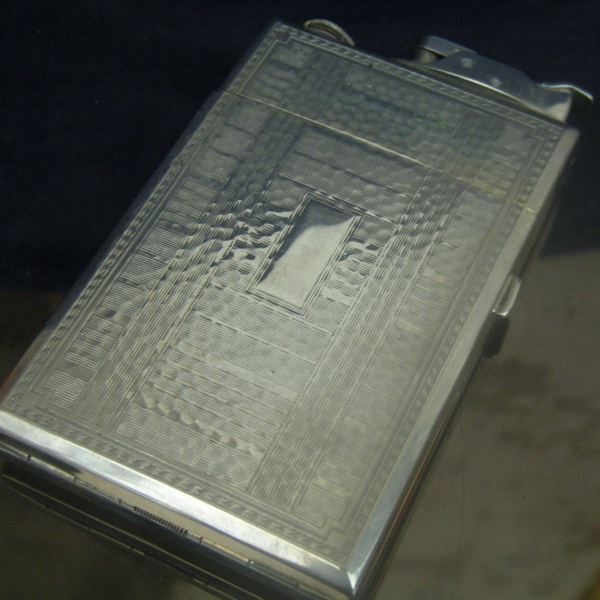 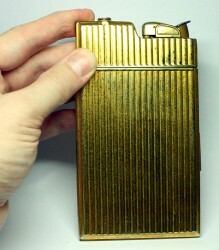 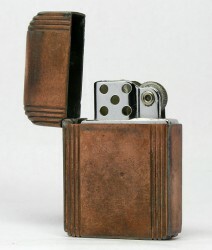 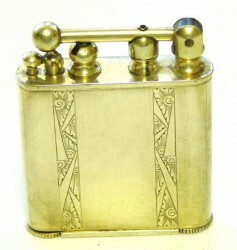 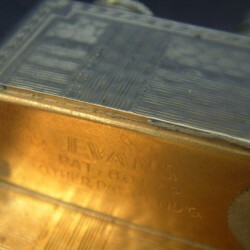 Cigarette case with a lighter.